We Love a good pallet wall! Not only are we reusing perfectly good, discarded material but also creating a truly unique feature. Pallets are readily available and are the perfect material to use for this project. 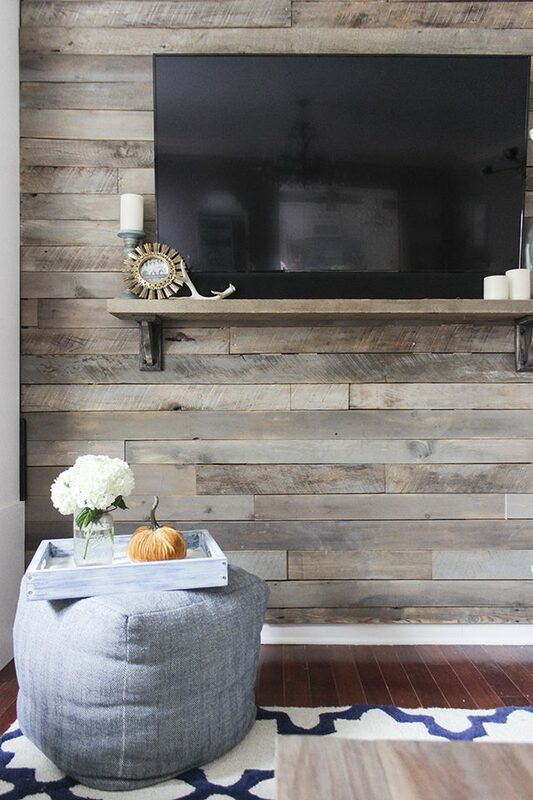 Learn how to make a DIY pallet wall for your home! To make a pallet wall, the first thing you will need to do is measure the surface area of your chosen wall. This will help you figure out how much pallet wood you’ll need. To get the total surface area of your wall, multiply the length of the wall by the width of the wall. When collecting pallets, get more than you think you’ll need. To give you an idea, an 11 x 8 foot wall will require around 17 pallets. 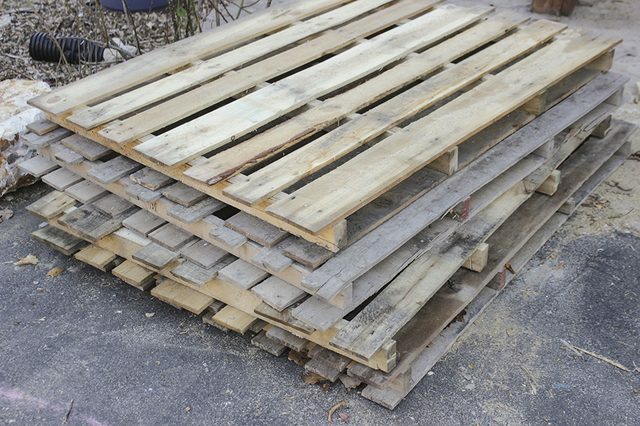 Pallets planks are of varying sizes and not all planks on each pallet will be usable. Now it’s time to take apart the pallets. Use a reciprocating saw (sawzall saw) for this. Slide the saw blade between the pallet frame and planks to cut through the nails that attach the planks to the frame. 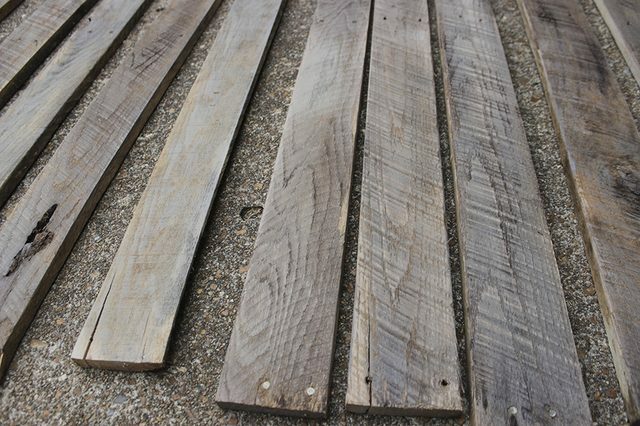 Once you’re got your planks you’ll need to prepare them for use on your pallet wall. 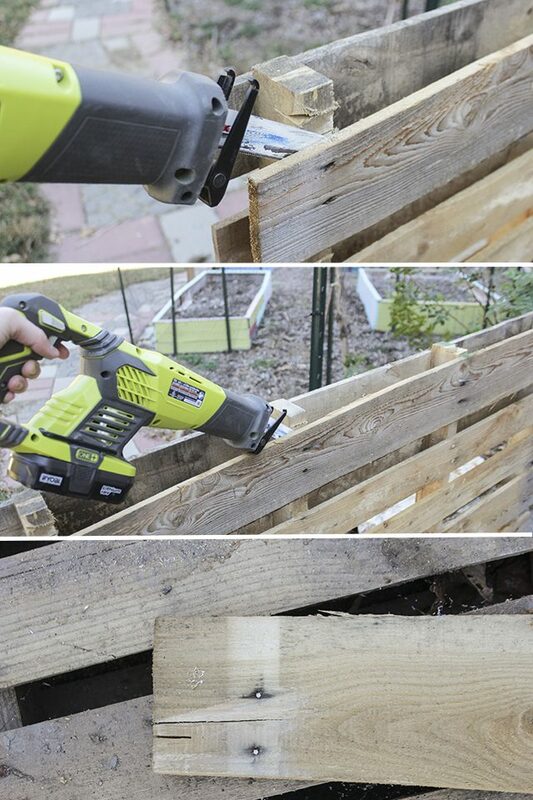 Sand the pallet planks using an orbital sander so that they won’t be so rough. Depending on the finish you’re after, you might also want to stain your pallet planks. 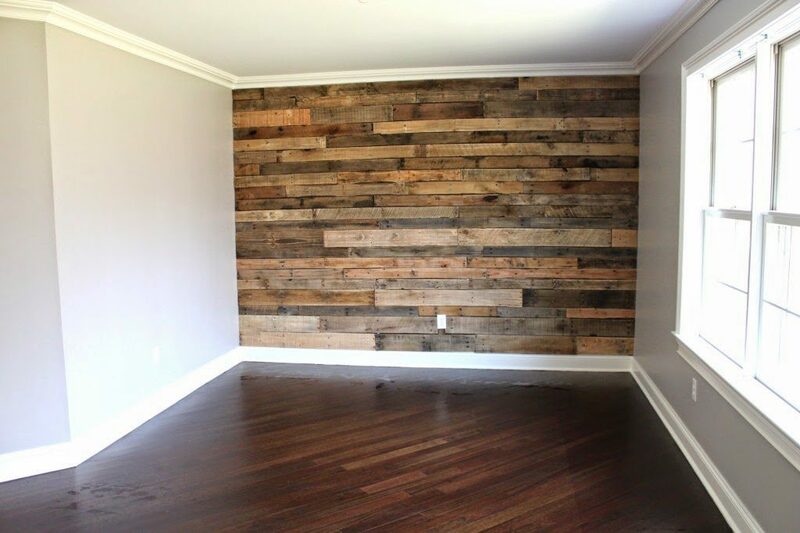 It’s now time to hang your pallet planks to create your pallet wall. Use a stud finder to find and mark where your studs are located. 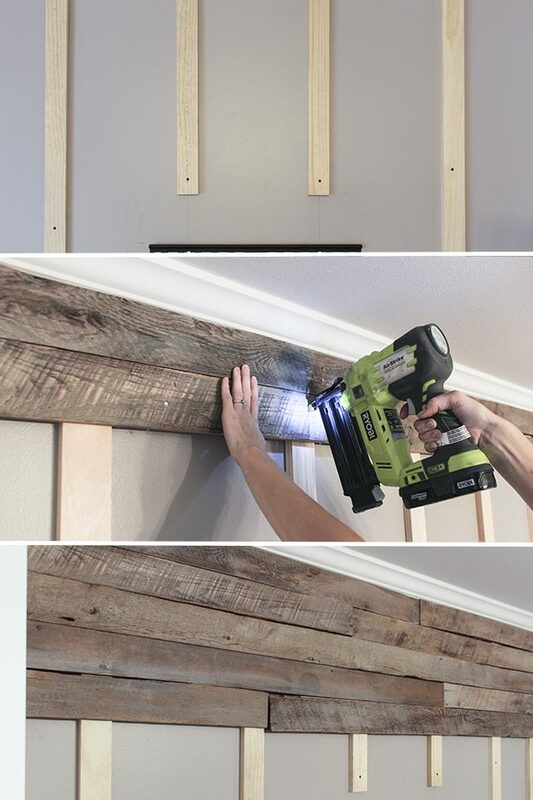 Cut 1 x 3 boards to the height of your wall. Attach them over your stud marks using a drill and 2 1/2 inch wood screws. Use about 5 screws per board. Using an electric brad nailer and 1 3/4 inch nails, attach the pallet planks to the 1 x 3 boards. Stagger the planks to create a visually appealing look. Be sure to work from the top of your wall down. If you have outlets on the wall you can mark the measurements on the pallet plank and cut spaces for them with a jigsaw. Realistically you will need to cut the planks at the bottom of your wall to make them fit perfectly. Once you’re done attaching your pallet planks you can rehang your artwork and admire your new pallet wall! This Is a great way to create a stunningly unique feature within your home. Fancy giving it a go? Head over to the marketplace to find the materials to get you started. Have you created a wall of your own send us your pictures or videos and we will feature our favourite pieces on the site!